It's in those situations when the horizon seems absolutely endless that ZEISS Milvus 21mm f/2.8 is in its element. The super wide-angle lenses is ideal for photographing vast, far-stretching landscapes and breathtaking scenery. 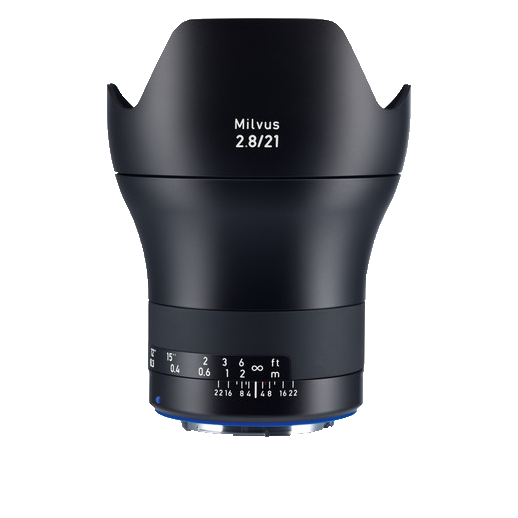 The ZEISS Milvus 21mm f/2.8 super wide-angle lens is the best in its class. Thanks to its maximum aperture of f/2.8, the reflection-free and practically distortion-free super wide-angle lens is perfect for spectacular image compositions of great diversity, dramatic contrast and vivid colors. The further optimization of the lens coating reduces ghosting and flare effects in critical light situations.